The state of Illinois has a thriving, if competitive, paralegal population. According to the Bureau of Labor Statistics, Illinois has about 9,820 working paralegals. The majority live in the state’s cities, especially Chicago, which is also home to many top schools for Paralegal Studies. Because they are a cost-effective alternative to lawyers for certain tasks, paraprofessional jobs are expected to experience a 28% increase, with 70,000 new jobs in the next 6 years. The Illinois Rules of Professional Conduct states that only attorneys licensed by the state may practice law. Paralegals cannot provide legal advice and may only function under the direct supervision of a licensed attorney, who is legally responsible for their professional actions while employed. 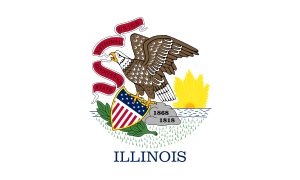 Paralegals in Illinois may also be authorized to work under a court or other governmental authority. The state of Illinois does not provide official licensing or certification requirements for legal assistants. Instead, aspiring paralegals can take a Paralegal Studies program at an institution, or gain paralegal status through on-the-job training. In general, Illinois paralegals holding a certificate or degree from an accredited and endorsed school have the leading edge when applying for jobs over those who receive only informal training. For those receiving on-the-job training, however, some employers may provide help in the pursuit of a formal paralegal certification. Paralegals receive their certificate or degree when they pass an approved certification exam. For additional options and benefits, paralegals or paralegal students should also consider joining an official organization, such as the Illinois Paralegal Association. The current mean salary for a paralegal in Illinois is very good at about $50,000, with a mean hourly wage of $24.79. The largest employer of paralegals is the legal services industry, with the government and investment sectors also hiring legal assistants. The oversight, regulation and licenses of attorneys, as well as the endorsement of programs and colleges of law is provided by the American Bar Association (ABA) An approval from the ABA offers proof of quality and credibility, and many employers only hire paralegals with a certificate or degree from an ABA-endorsed program. The US Department of Education provides a school’s accreditation, independent of the ABA endorsement. Many paralegal employers require applicants to carry a certificate or degree from an accredited institution, which proves that their education was ethical and legitimate. Some employers may only require an ABA endorsement, but many require both. If possible, it’s a good idea to attend a school that is both accredited by the Department of Education and endorsed by the ABA. Illinois currently has 17 paralegal school programs endorsed by the American Bar Association, including public, private and both 4 and 2-year institutions. DePaul University Continuing and Professional Education offers a 17-week Paralegal Studies Certificate Program and is also located in Chicago. It is a private institution that was founded in 1898, and is currently the largest private university in the state. Illinois State University is a public, 4-year institution that offers several degrees in its Legal Studies Program, including a 120-hour BA or BS Paralegal degree, a 24-hour Post-degree certificate and a 60-hour Paralegal certificate without a Bachelor’s degree. Internships are mandatory. Loyola University Chicago has an Institute for Paralegal Studies that includes a program for a Certificate in Paralegal Studies and a program for a Corporate Practice Certificate in Paralegal Studies. Paralegal Studies in this private institution involve traditional and online classes as well as an optional internship. Robert Morris University is a private 4-year institution with locations in both Springfield and Chicago. This school offers an Associate of Applied Sciences Paralegal certificate through its Paralegal Studies program. Southern Illinois University is a public institution located in Carbondale, Illinois. It offers a Paralegal Studies program that includes major, minor and Pre-Law tracks (minor in Paralegal Studies is not ABA-approved). The 2-Year Institutions listed below can be cost-effective alternatives to the larger universities. Their Paralegal Studies programs generally entail 60 hours for a certificate, with 24-hour certificates available for Post-degree students. Their Paralegal Studies programs also often include internships. Illinois: The Newest Constitutional Carry State?